Ever since humanity had consciousness, science, industry, and business have all played inalienable roles in the development of its civilizations and they have always been developed in a way that they reinforce each other. We believe that the same will be replayed for big data. In this talk, we will begin by reviewing how major scientific discoveries in one form or another have involves the discovery and accumulation of data and that, typically, it is through profound understanding of the data that resulted in discoveries. With this as preamble, we argue that because data are de facto representations of natural phenomena, they naturally should have their own inherent rules. With this, in today’s age of enlightenment, there is a call for the creation and development of "data science," the objective of which is to discover such rules. We then address several critical issues related to development of new data industry and business. We would argue that new data industry and business would not be possible if the fair sharing of a large amount of data is not properly realized. Legal, economical, and technical aspects of the fair sharing of big data must be properly resolved and then we can effectively create new data industry and business that benefits every human being on earth. Biography: An internationally renowned scholar, Professor Wei Zhao has been serving as the eighth Rector (i.e., President) of the University of Macau since 2008. 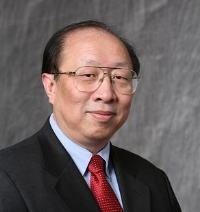 Before joining the University of Macau, Professor Zhao served as the Dean of the School of Science at Rensselaer Polytechnic Institute in the U.S., Director for the Division of Computer and Network Systems in the U.S. National Science Foundation, and Senior Associate Vice President for Research at Texas A&M University. Professor Zhao completed his undergraduate studies in physics at Shaanxi Normal University, Xi'an, China, in 1977, and received his MSc and PhD degrees in Computer and Information Sciences at the University of Massachusetts at Amherst in 1983 and 1986, respectively. During his academic career, he has also served as a faculty member at Shaanxi Normal University, Amherst College, the University of Adelaide, Texas A&M University, and Rensselaer Polytechnic Institute. 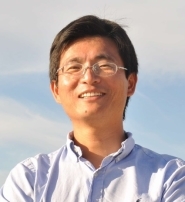 Professor Zhao has made significant contributions in the field of cyber-physical systems. His research group has received numerous awards for outstanding work in CPS, including the outstanding paper award from the IEEE International Conference on Distributed Computing Systems, the best paper award from the IEEE National Aerospace and Electronics Conference, an award on technology transfer from the Defense Advanced Research Program Agency, and the best paper award from the IEEE International Communication Conference. As the CNS Division Director of NSF between 2005 and 2007, he led the community and initiated very first funding program in CPS. In 2011, he was named by the Ministry of Science and Technology of China as the Chief Scientist of the national 973 Internet of Things Project. In recognition of his outstanding achievements in science and higher education, Professor Zhao was awarded the Lifelong Achievement Award by the Chinese Association of Science and Technology in 2005. In 2007, he was honored with the Overseas Achievement Award by the Chinese Computer Federation. Professor Zhao has been conferred honorable doctorates by twelve universities in the world and academician by the International Eurasian Academy of Sciences. NFV (Network Function Virtualization) and SDN (Software Defined Network) are more and more deployed in Telcom industry, such kind of cloudification and/or cloud native design brings profound changes to the telecom network, equipment and service: COTS hardware, virtualization, decoupling, flexibility, openness, etc. All of them will bring dramatic benefits to the telecom operators, but new RAS (Reliability, Availability, and Serviceability) challenges are introduced as well, which will be critical for NFV/SDN’s successful commercial deployment in Telcom and cloud for mission critical application. This talk will discuss the new RAS challenges of emerging technology, and design practice in industry. Biography: Sean has been working for Huawei for more than 20 years, he is one of the key founders for Huawei’s DFX engineering, which DFX means Design for X-ability (e.g. Reliability, serviceability, availability, energy efficiency, manufacturability, etc. 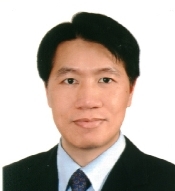 ), he has made fundamental contributions on setting up the whole reliability process and technology system for Huawei, and he has initiated and led the research in Huawei on emerging reliability technologies (e.g. new self healing design, Data Mining Failure Analysis, etc. for cloud data center and network ), now he is head of technology planning and solution department for architecture& DFX, and head of technology cooperation for R&D Competency center. Critical IT services nowadays are anticipated to be available 24 hours a day, 365 days a year, across regional and national borders. IT has been playing an important strategic role in business operations and high availability for IT systems is therefore a crucial tactic within business and IT domains. High availability is a measure of the uptime required to run the IT systems to meet an agreed service level. Reliable IT infrastructure and system is one of key enablers to assure the provision of high quality IT services and there are various technical approaches to design and build it. This keynote will share and highlight some of the IT architectures, design principles and techniques to deliver and achieve high availability IT services from a banking IT perspective. Biography: Fred is the Head of System Management at the Information Technology Department of the Bank of China (Hong Kong) Limited. Fred has over 20 years of experience in banking IT, specializing in IT infrastructure and system management, IT application design and development, technology adoption and ISO20000. Fred has a Doctor of Business Administration degree from The Hong Kong Polytechnic University.